For years, General Motors has been known for underwhelming quality in their small cars, which never realized the full support of a company buoyed by SUV and truck sales. But oh, have times changed. In the last two years, Chevrolet has been steadily building credibility by improving comfort and build quality in their new vehicles, first in the Malibu and more recently in the Traverse. Now they’re tackling the highly competitive small car segment with vigor, and the all-new 2011 Cruze has set its sights on the big players – including the long dominating Honda Civic and Toyota Corolla – by bringing comfort, a gorgeous interior and promising fuel economy to the mix. The interior may be the highlight of the Cruze, but the fact that Chevrolet has gone for the more fuel-efficient (and more fun) turbocharged four-cylinder engine as the standard for three out of four of the trims is even more a sign of the times. 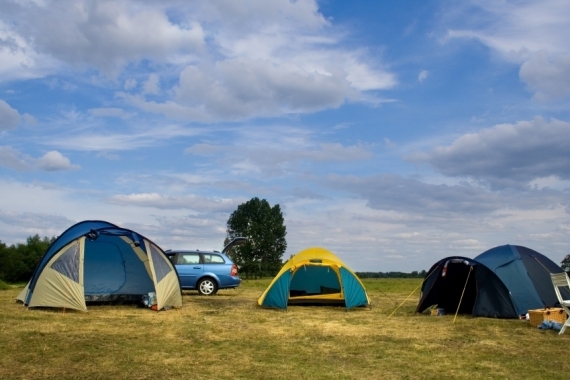 Exterior design and performance easily outstrip many in the field as well. So here’s the question of the day – at what point will we stop being surprised by Chevrolet’s competency and come to expect it as the norm? Interior styling is some of the best in the class and downright impressive for Chevrolet. Comfortable seats and a quiet interior belie the low starting price. Chevrolet is finally downsizing, and the 1.4-liter turbo engine is competent and a smart move overall. A cushy drive and roomy interior makes the car feel like less of a small compact and more of a large sedan. Pricing is slightly higher than others in the segment. No standard USB and auxiliary input jack on the budget trims might deter the target buyer. Reputation is against them – getting small car buyers into Chevrolet dealerships may prove an uphill battle. The carmaker has paid significant attention to ensuring the drive feels soild during all types of driving conditions, but specifically it’s the 1.4-liter engine that really shines. The addition of a turbocharger allows torque to peak at low rpm, giving the Cruze a broad and useable powerband for daily driving and plenty of pickup for passing. The six-speed automatic is smooth, though it sometimes lags when you really punch it. Instead of a manual mode that only hints at realistic gear changes, this one holds gears until the needle is bouncing off the redline and even denies your shift if it’s unsafe for the engine. It’s a fun option if you don’t want to swap cogs all the time with the six-speed manual. Brakes and throttle have decent feel to them, though the steering could be weighted better; it feels a touch rubbery and loose. Chevy engineers worked hard to improve sound damping in the car, and it has clearly paid off. The Cruze cabin reaches levels of luxury car quietness. Seriously. 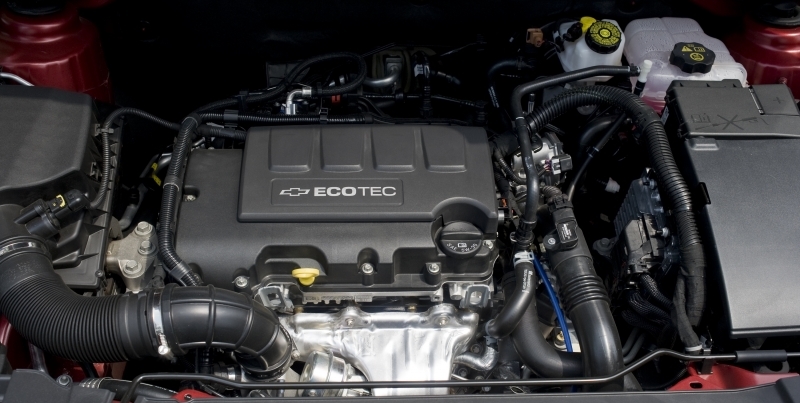 Chevy is offering two engine types for the Cruze, but interestingly they both have similar power output. The first is a 1.8-liter four-cylinder engine standard on the LS trim, which produces 136 horsepower and 123 lb-ft of torque. The other is a 1.4-liter turbocharged engine that delivers 138 horsepower and 148 lb-ft of torque and is fitted into the LT, LTZ and Eco models. Both can be paired with either a six-speed manual or automatic transmission, which drives power to the front wheels. With ten standard airbags in all Cruzes, there is a specific focus on safety. ABS, stability control and traction control are also standard across the board. Rear parking assist is standard on the LTZ and available on other models as well. The cruise control system displays your set numerical speed within the instrument panel, which means you’ll never need to line up the speedo needle again. As far as compacts cars go, the Cruze is nicely appointed with a number of tech features, though we’re not completely bowled over by the basic information screen in the center stack. Navigation comes as an option for all models for an additional $1,995, and the auxiliary input jack and USB port fitted into the LS, 2LT and LTZ allow you to control the mp3 player through the car’s audio interface. No official EPA numbers have come in yet, and Chevrolet isn’t offering up any estimates. We imagine mileage the 1.4-liter engine to come in around 35 mpg highway, 26 mpg city, with the 1.8-liter being slightly less frugal. Look for an Eco model to be launched later; they’re estimating it will get 40 mpg on the highway with its fuel saving upgrades, like low rolling resistance tires, lighter wheels and a lowered body. 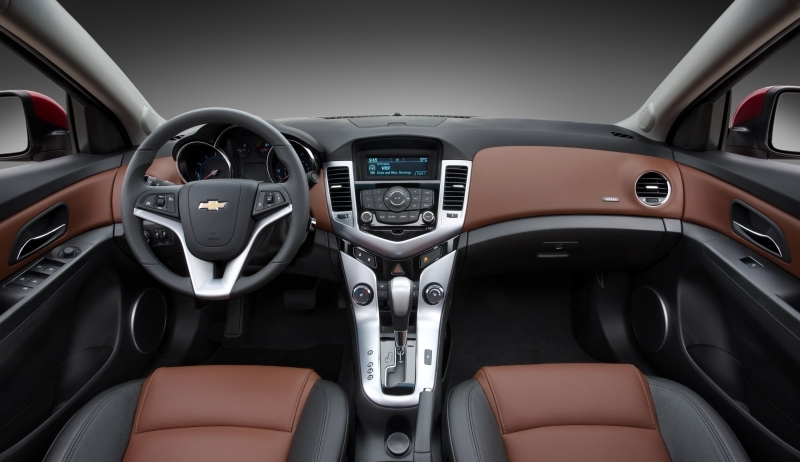 We could go on for days about the Cruze’s good-looking interior, especially the two-tone beige and black leather. Bright gauges and a well-laid out center stack are standouts, though the red mesh inserts in the seats, dash and door panels available on certain trims are impressive as well. Rear legroom is tight, but headroom is plentiful and the car feels roomier than its actual size. 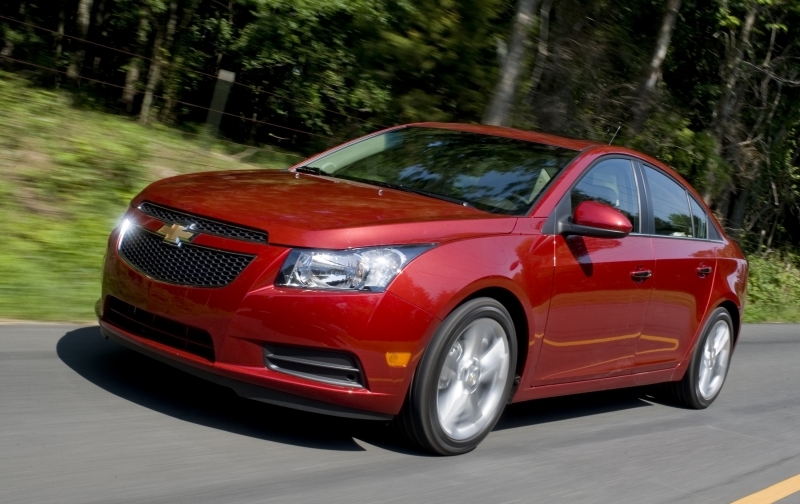 Following styling cues set by the Malibu, the Cruze’s front end is adorned with a split grille and angled headlamps. An RS package on the LT and LTZ trims adds fog lights, upgraded rocker moldings and a rear spoiler, along with RS badging. Prominent wheel arches and a cutaway beltline give it a dynamic look, and 16-, 17- and 18-inch wheels are on offer depending on the trim level. 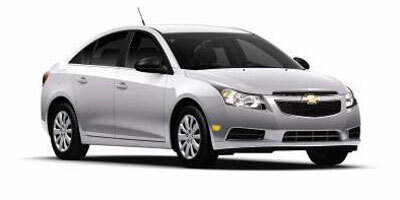 There’s no shortage of compact cars on America’s roads, so it’s pertinent that the Cruze be priced right. Starting at $16,995 for the LS, the LT, Eco and 2LT follow close behind, with the high-end LTZ topping out pricing at $22,695. 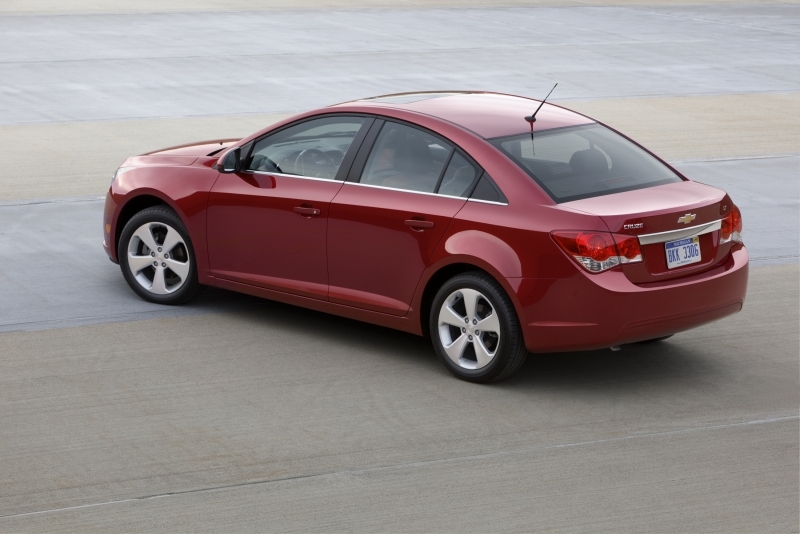 This is slightly higher than the competition, though the only new-for-2011 model is the Volkswagen Jetta ($15,995). 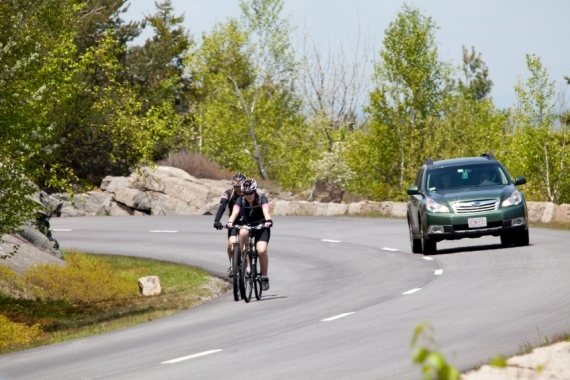 The aging competition consists of the Toyota Corolla ($15,450), Honda Civic ($15,655) and Nissan Sentra ($15,420). It’s about time, but Chevrolet has finally given us a compact car we can like and one that has a chance to grab a good percentage of the segment share. Pricing isn’t spectacular, and it’s a shame the company isn’t planning on marketing this car more heavily – especially considering the new Ford Focus is also due soon – but fit and finish is better than we’ve seen in recent memory. Couple that with solid performance and upscale styling, and we have ourselves a GM that makes us proud.